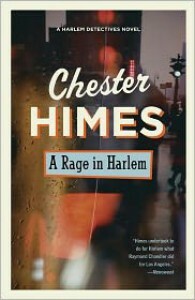 Chester Himes is not a hack writer, which makes this novel (as well as his other hard-crime books, including the recently read Cotton Comes to Harlem) better than average. Beyond my endorsement, the only other comment I'd make is that I watched the Forest Whitaker/Gregory Hines adaptation of this novel a few months ago. It follows the book quite closely except the book is "meaner." With the exception of the Jackson character, who's a sweet-natured, trusting nebbish in both, the movie goes out of its way to make everyone except Slim and his cohorts "nice" - really good-hearted souls who do the "right thing."